A dinosaur who sorts luggage at his local moon-base space-port. Steve loves his job but is constantly harassed by all of his co-workers. Help Steve push the right kinds of luggage into the right chutes. But make sure to properly dispose of any non-luggage items like burgers or dynamite! 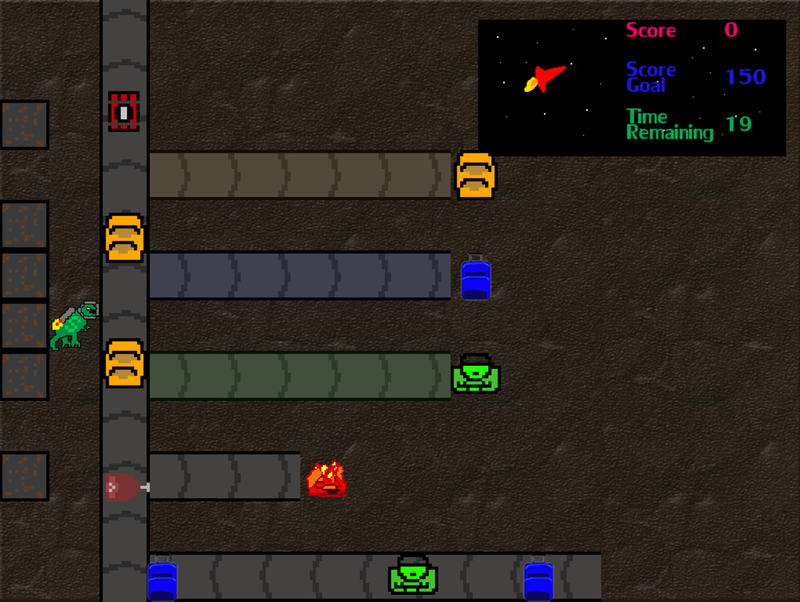 Classic-style Arcade Action game with dynamic luggage-sorting system and difficulty progression.